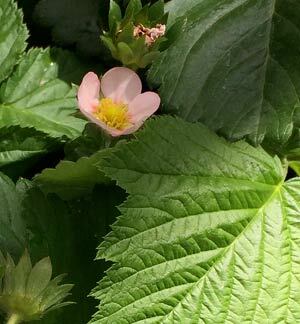 Growing Strawberry Plants from Runners and Potted Plants. Growing Strawberry plants in the home garden is easy and they are a favourite. You can easily grow them in the veggie garden, in pots or in special strawberry containers. Available for sale as potted plants or as bare rooted runners most strawberries are grown from runners. Given good growing conditions the average gardener can easily provide fresh strawberries with a wonderful taste. Eat them fresh, use them on cakes, wonderful in desserts and if you can keep the children from eating them you might get some yourself. Although an individual plant will last a number of years, they do lose productivity after the first year or two. The best option is to buy ‘certified runners’ each year, or at least every two years. If you do this you will have productive plants and lots of fruit. Best time for planting in Victoria, Tasmania Southern New south Wales and is autumn, growers report higher yields than from plants planted in late winter to spring. It is really only the Alinta variety that should be planted in spring and be expected to give good yields of fruit. In Queensland, they are generally planted in autumn. You can also plant strawberry runners in spring as soon as the soil begins to warm up. In sub tropical areas plant in autumn. You will need a sunny position and if grown in the garden it is common practice to mound up the soil in long rows to improve drainage. Many growers plants through black plastic, this keeps the fruit clean and helps control weeds. We suggest for the home gardner that straw is an alternative, or perhaps use the biodegradable ‘Weed Gunnel’. Strawberries prefer a humus rich moist soil and they like a ph of around 5.5, just slightly acidic. So dig in lots of well rotted compost and aged cow manure and some blood and bone before planting. Certified runners are best planted around 30 – 40 cm apart, this allows for good growth and good air flow which helps prevent many diseases. Planting new runners or crowns is simple, simply plant so that the crown is just at soil level. Many home gardeners like to install a simple drip irrigation system before planting, this allows good watering practice, the plants will remain moist, but not wet. You will notice that new plants will quickly produce runners, these should be removed to improve fruit quality and size. At the end of the season plants can be tidied up and any runners removed, these can be saved for next season. Rotate strawberry crops every 2-3 years. How many plants does a family require for a ‘good supply of fruit’? Generally around 25 plants is sufficient, although even a few plants in a strawberry planter can provide some wonderful fruit. Powdery mildew can be a problem, use a 1/10 spray of milk and water. Strawberries plants are a herbaceous perennial. Best purchased as ‘Strawberry Runners’ and replaced after 2 to 3 years when fruiting begins to drop. For strong healthy growth Strawberry plants require a sunny position and are generally planted in raised beds, often covered in black plastic, or the beds can be mulched to help control weeds and keep the fruit from sitting on the soil. Strawberries are best watered by drip irrigation, try twice weekly. Remember strawberry plants no not like to be waterlogged. Plants should be pruned back in early winter and all strawberry plants should be replaced every three years with new ‘certified runners’. Grow strawberries in a well-drained soil, with added organic matter such as compost, animal manure. Drip irrigation is best to help avoid fungal diseases in plants. RED GAUNTLET STRAWBERRY probably the the most popular strawberry plant for the home garden in Australia because it produces a good crop in its first year. Large sweet fruit for up to three years, after this remove the plants and replace with new ‘certified runners’. Certified runners are ‘virus free’ and prevent a lot of problems when growing strawberries. TIOGA STRAWBERRY A smaller and sweeter fruit than Red Guantlet, however it does not crop well in the first year. ALINTA STRAWBERRY Does well in colder climates, large sweet fruit, one of the more popular commercial varieties. MELBA An excellent variety, high quality fruit and good yields. Large range of Bulbs and Perennials for the garden.